The State Board of Education is asking the state for $11 million to fund eight new charter schools to open over the next two school years. The request, put forward by Education Commissioner Stefan Pryor and approved unanimously by the state board this week, would add hundreds of seats in charter schools throughout Connecticut. Those seats would be in addition to 1,285 new seats that still need to be funded in coming years in order to phase in additional grades at three new charter schools that opened this school year. Allan B. Taylor, chairman of the 13-member state panel, said expanding school choice for students makes sense. “We have a relatively small number [of charter schools] in the state and they are doing good things,” he said during an interview. The number of students offered seats in publicly funded charter schools has surged in recent years — from 4,985 during the 2009-10 school year to just over 8,000 this year. Even so, just one out of every 65 public school students in Connecticut now attends a charter school, one of the lowest rates in the U.S., according to the U.S. Department of Education. It’s not for lack of demand. 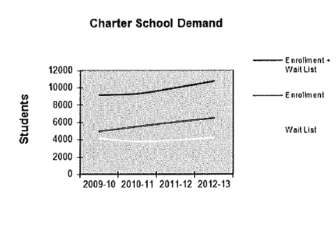 The State Department of Education reports waiting lists for enrollment in charter schools top 4,000 students each year. “The demand for charter schools is high, while the rate of future expansion is dependent on legislative support,” says a report on charter schools released this year. Finding the funding for the additional seats will be a challenge. The state is facing a $1.4 billion deficit for the fiscal year that begins July 1. The co-chair of the legislature’s budget-writing committee was also not supportive when the state board approved opening additional charter schools on top of the increases already approved in the state budget. “I am sort of outraged that they approved additional charters. Did they also vote on a resolution to fully fund our public schools? No, I don’t think so,” Sen. Beth Bye, D-West Hartford, told the Mirror in April. 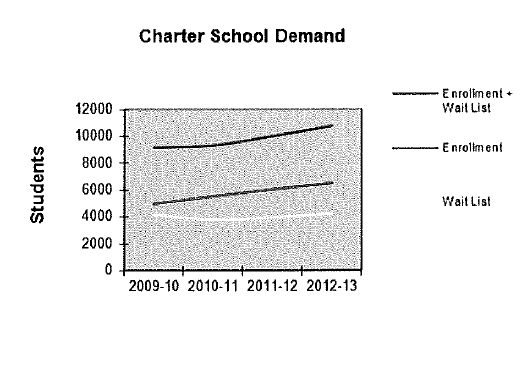 The state gives charter schools $11,000 for each student they enroll. The state education spending formula for traditional public schools — which directs state money to municipalities with higher concentrations of poverty, less ability to raise revenue locally for education and more high-needs students – was underfunded by $687.6 million last school year, according to data compiled by the State Department of Education. But in making its budget request, the state board argues that the relatively small amount the state spends on charter schools compared to traditional public schools is worth it. “The relatively small size of charter schools, innovative instruction by carefully selected staff and the high degree of parental involvement has enabled charter schools to provide a unique educational environment,” the request states. The department’s spokeswoman said Friday the board’s endorsement of the expansion does not guarantee that Education Commissioner Stefan Pryor will include it in his budget request to the governor’s budget office. However, budget requests approved by the state board typically are included in their entirety.